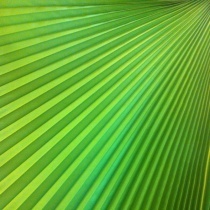 Pleating of fabrics is one of the best ways to achieve spectacular appearance of all types of fabrics. The skill and ingenuity of our designers, combined with one of the largest and up-to-date machinery park in Poland offer unique opportunities which may be limited only by our imagination. Laser engraving on fabrics is offered by us – among the few in Poland. One of our assets is a big power laser machine, by which any pattern can be engraved on almost any type of material – from leather to cotton. The machine provides engraving on ready-cut patterns, as well as on fabrics from roll. Our specialists are also eager to assist in pattern design and layout. Our laser offer is very broad. Beside engraving, we also offer cutting along free selected patterns on the majority of available fabrics. Our technology enables simultaneous engraving and cutting, what opens up infinite opportunities for graphic design and innovation. Creative fabric processing to provide unique texture of crushed material. 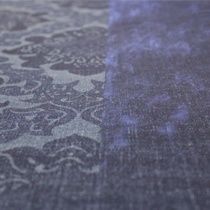 The offered service is possible both on single patterns and on fabric from a roll. Crushing technology makes fabrics look original and provides them with eye-catching design - much more than other technologies, e.g., pattern prints. 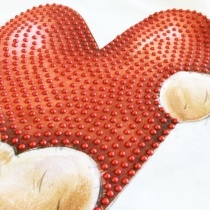 Application of rhinestones on fabrics is a very common way of clothes decoration. TKACZ offers a complex service of design from ready patters. The capacity of our machine enables demanded designs to be configured from as many as 6 types of rhinestones. And we are distinguished for high production rates and outstanding precision of finished patterns. You are cordially invited to collaborate with us. After many years of developments and gaining experience, we have designed many die stamp patterns, adjusted to current fashion trends and preferences of our customers. 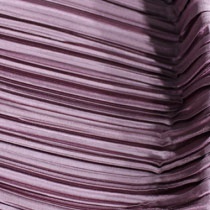 The offered extrusion service is provided on fabrics from the roll, as well as on ready-cut patterns. State-of-the-art technology, combined with huge laser power, allows, beside fabric engraving and cutting, patterns to be made on such materials as wood, glass or cardboard. We engrave signs, logotypes, bar codes and any patterns, wished by the customer.